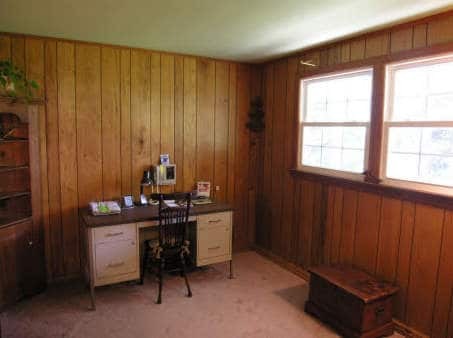 Knotty pine paneling has long been a staple of summer cottage/cabin construction and, the 1950s-1970s, was completely ubiquitous in even primary residences. 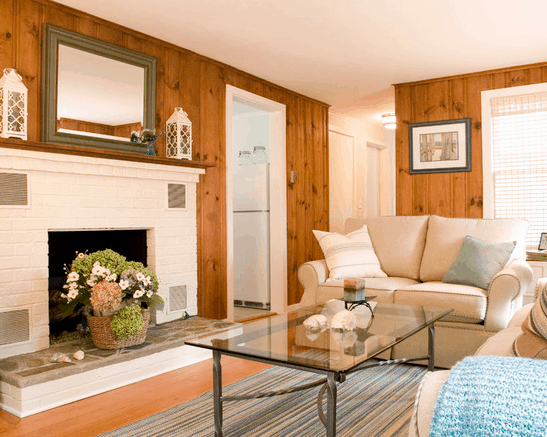 Look around the web, and you’ll find tons of blog posts about why and how to paint over pine, but today we’ll go through when it’s appropriate to keep it and 3 ways to make the most of it. Stick around to the end to see how Home Glow Design would style this staple wall covering to make it fresh while keeping its classic look! 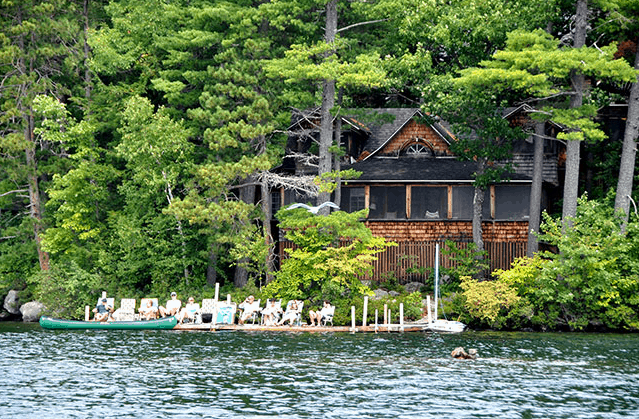 I adore the New Hampshire lakes, and I adore the classic cottages and cabins that surround them. 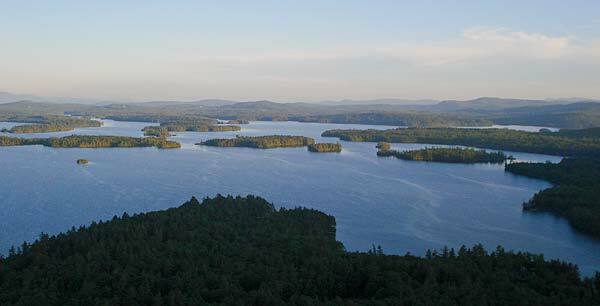 Especially on Squam Lake. 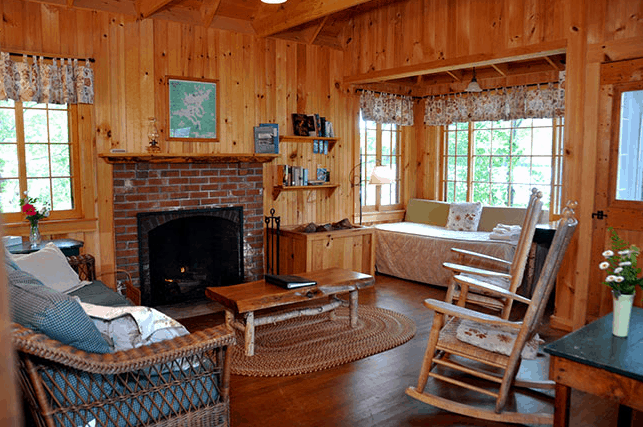 One of the reasons I love it so much is that the shoreline is so wooded and the cottages are all set back in the trees and usually brown or untreated cedar in color, unobtrusive to the surrounding beauty. 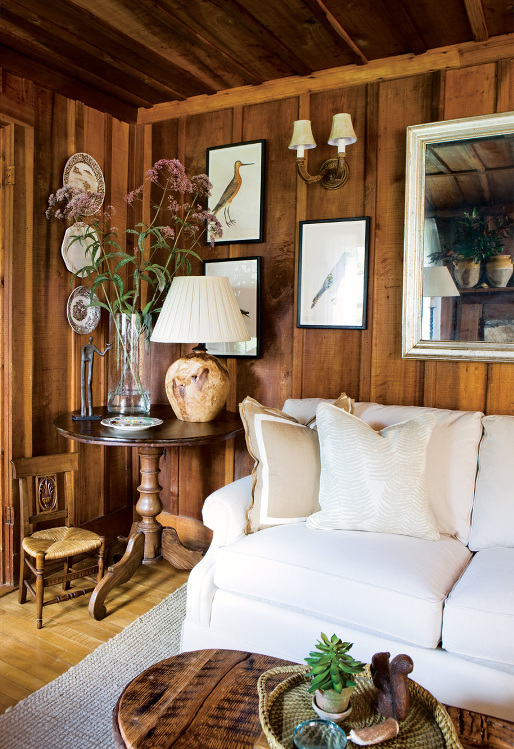 The older cottages come with one thing, however, that many people may see as a design problem — knotty pine paneling. Methinks you’ll want to consider other options. Or, me-hopes so, anyway …. 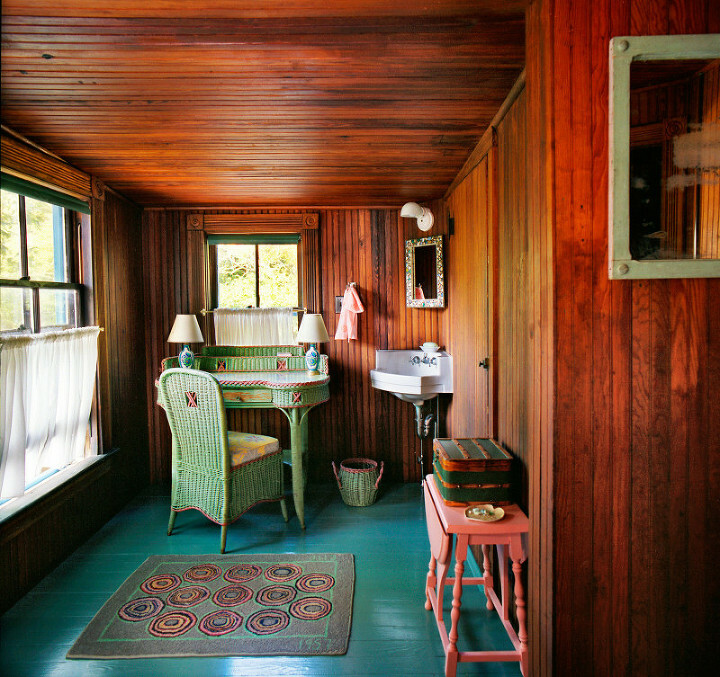 However, many summer cottages and cabins (as well as many homes from the 1950s onward — see Pam Kruber’s search for why the material was so prevalent here) are covered in pine that, while perhaps far less venerable than the above, still holds some emotional and traditional value. Floor to rafter, literally. I can totally understand if you want to brighten and freshen it up, perhaps add a little comfort, but I’m sure there are few who would want to completely erase the character of the above by painting the whole thing white. What to do, then? 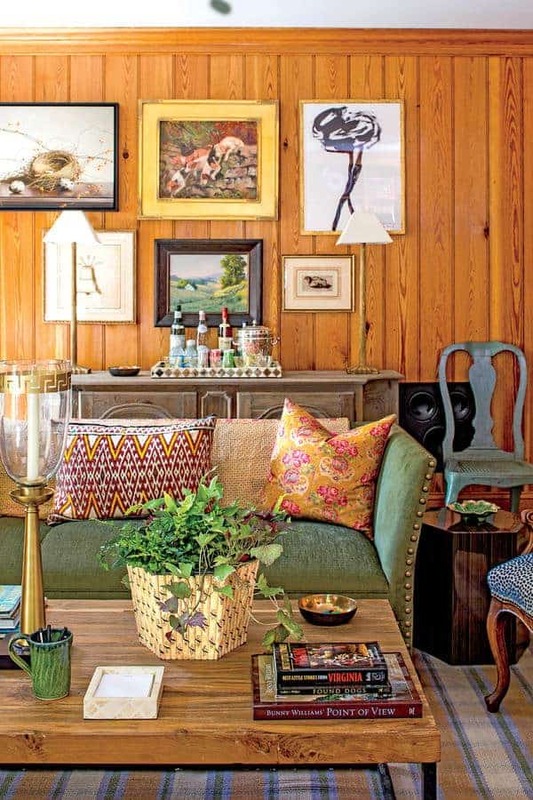 For the summer cottage, be it on a lake or ocean or in the mountains, this is an easy way stay true to the “camp” aspect while breaking up that expanse of yellow/brown. Doing better, right? Character — check. Freshened up — check. You can choose how much to do. 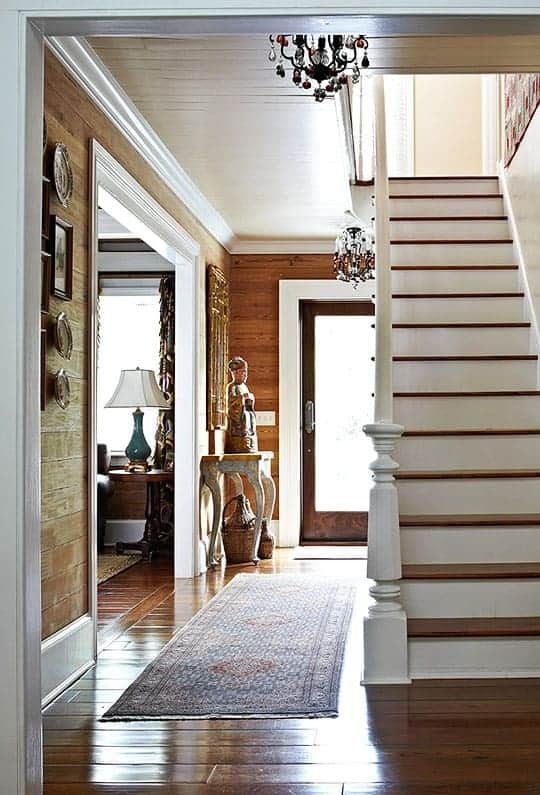 Just the casings, add the mantle, base/crown moldings, paint the ceiling or the floor. Take it step by step and decide when you’ve done enough to cheer it up!! 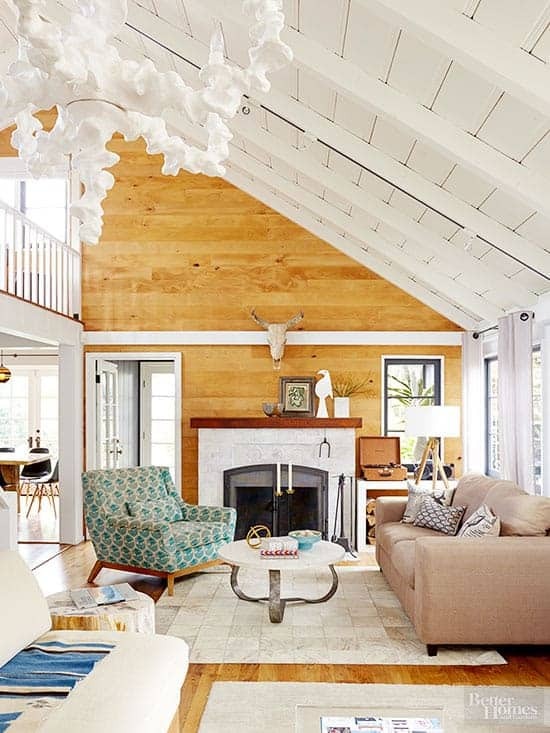 Layla Palmer at The Lettered Cottage has also looked at this dilemma here, but the coolest thing she does is to take a knotty pine paneled room submitted by a reader and photoshop adding white step by step. Check it out! Be conscious of your interior environment. 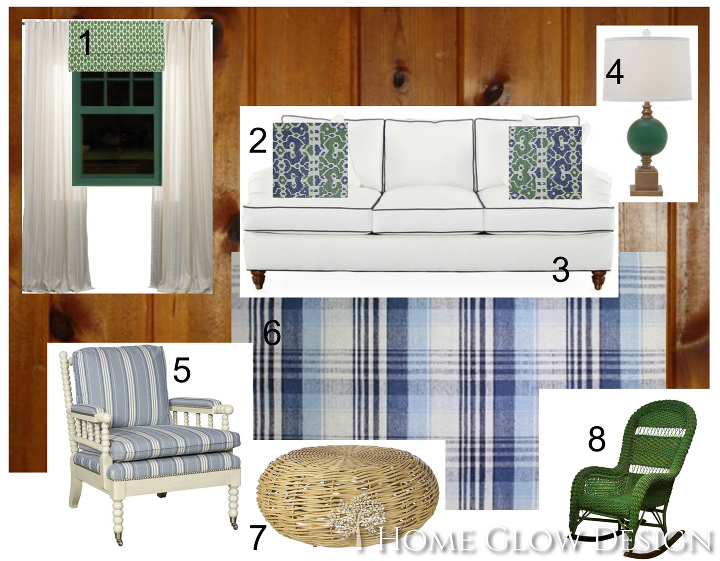 Green is such a beautiful complement to knotty pine. Oh wait, those are the colors of a pine tree — green and brown! But it only works when the undertones are right. 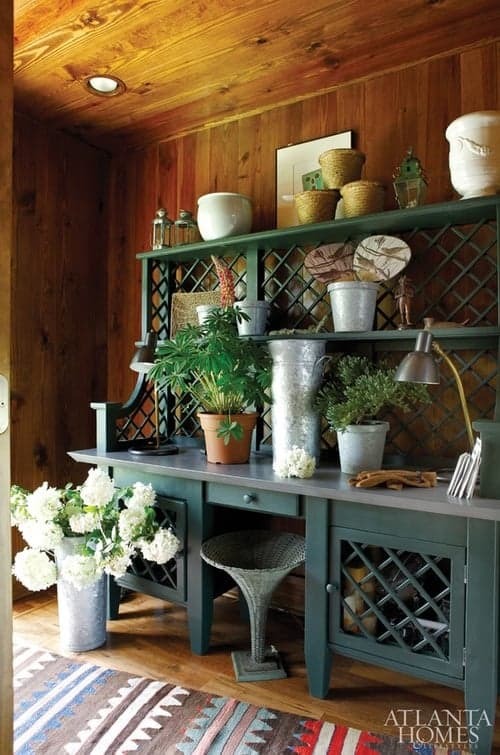 Choose a green with an undertone like your paneling (usually warm — yellow), and you can ramp up all that outdoor freshness. 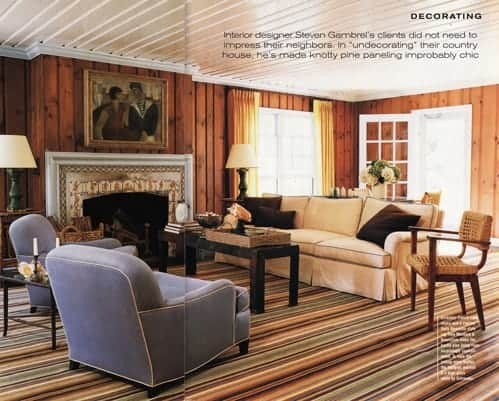 It looks like Thomas Jayne actually mixes his undertones here — a warm yellow on casings, desk, and mirror, and a cool blue on the floor. But hey, rules are meant to be broken, and he has multi-millionaire clients to prove it. I like it best when casings are green combined with white ceilings or more light furnishings. Let’s go back to Squam. 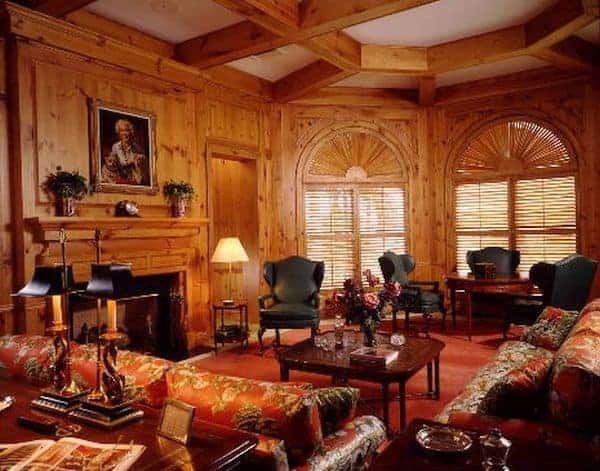 Remember this room? My heart aches with desire. But, if it were mine (Dream on, Amy. 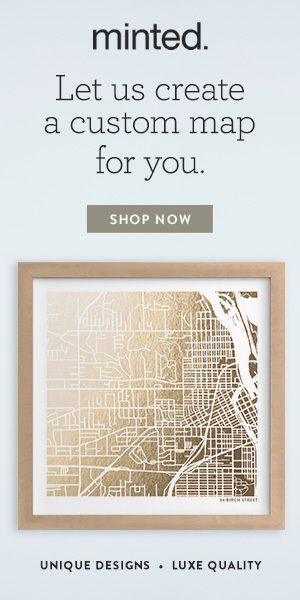 ), I think I’d like to do something like this. 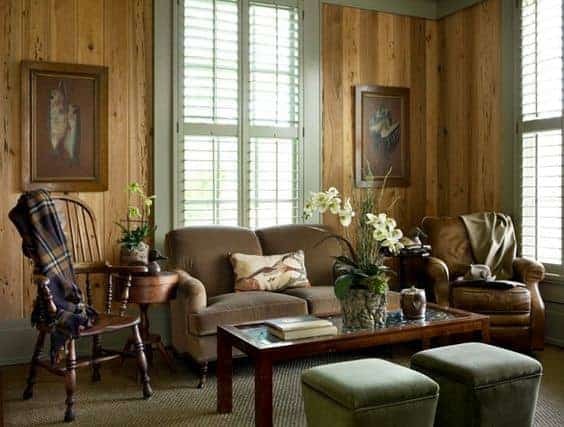 And I’d love to treat that daybed alcove like a window, with sheers on either side of the alcove and the fabric romans over each individual window. Close the sheers for an airy sleeping room! Anyway, I’m sure there are those who are crying, “Anethema! 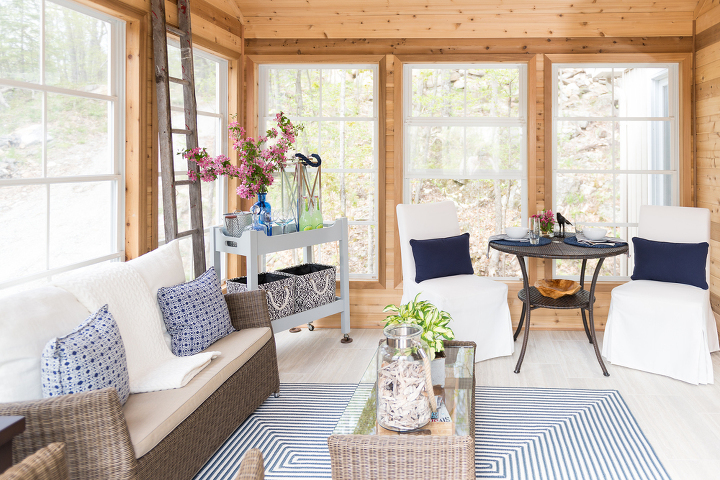 You can’t change our classic cottage!” But I think this stays true to the style of the cottage while providing more comfort and happiness. — Victorian vintage painted wicker, bobbin chair, stripes, plaids, rattan, and a little ethnic flair in the accent fabrics to add a subtle funky factor. The above makes use of sources that are available to consumers. 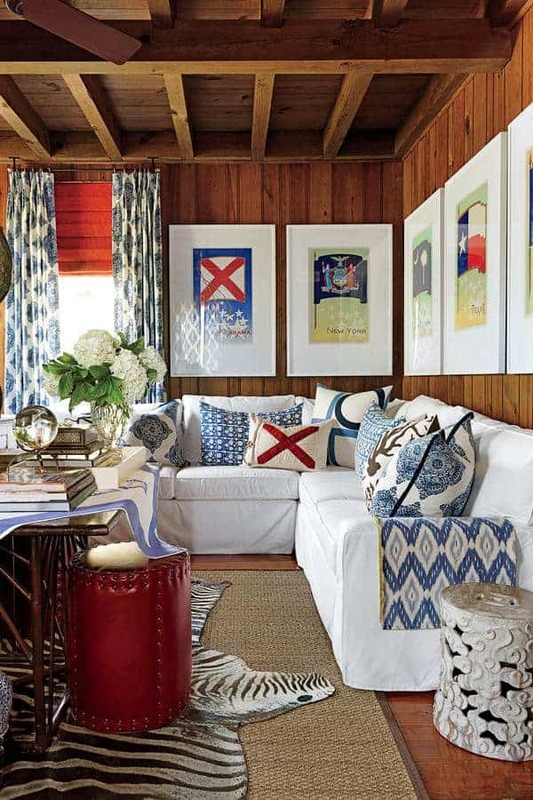 If you go through a designer, customization on those upholstered pieces (like the sofa — you can go white if you use a high-performance fabric like Crypton) is endless, and doesn’t have to be much different in price, and it might even be better. Any thoughts? I’d love to hear from you — even if you hate it! I’m all for honesty! So enjoy your Saturday posts! 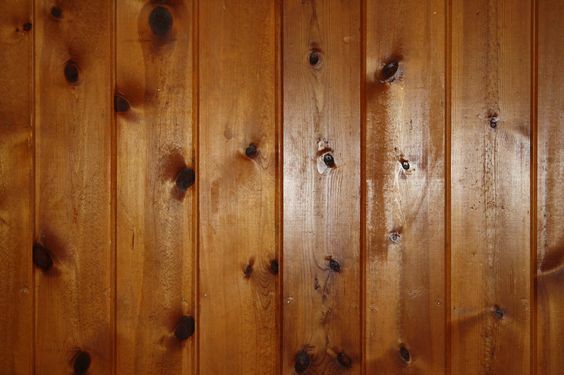 My sister was just bemoaning to me about her knotting pine paneling. It’s in a 1950’s build and is truly the real thing. It has the pretty grooves between each board. It has darkened with age. Wonder if it could just be sanded and sealed?